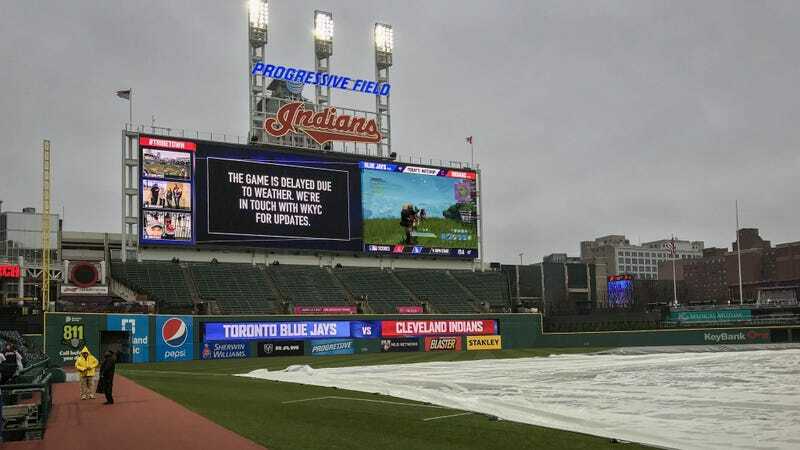 Last night’s game between the Cleveland Indians and Toronto Blue Jays had some weather delays. So while the tarps were laid out across Progressive Field, some staff decided to make use of one of the otherwise-idling jumbotrons. Cleveland social media wasn’t clear on who exactly was playing Fortnite at the field, and no word yet on whether any victory royales were secured. Meanwhile, rain postponed the game to May 3.